iPhone battery rules YOU should consider, Bulletproof backpacks, 6-year old goes on Amazon shopping spree, McDonald’s kiosk ordering, Android phone tracking, Australian teen hacks Apple, Electro-Voice 635A microphone, Cell phone voice mail, Steve and his new years resolution, Amazon shipping, Amazon photo of delivery, Toad the Wet Sprocket, Hootie and the Blowfish, Darius Rucker, Spotify student discount, Audio quality, push notifications, location services, flip-phones, OLED, Studio “C”, Catch Me if You Can, Leonardo DiCaprio, The Idolmaker, movies, and a whole lot more. Special Co-Host: Steve from the “Weapon of self distraction” podcast. This entry was posted in Video and tagged 6-year old goes on Amazon shopping spree, Amazon photo of delivery, Amazon shipping, Android phone tracking, Apple, Australian teen hacks Apple, Bulletproof backpacks, Cell phone voice mail, Electro-Voice 635A microphone, Hootie and the Blowfish, iPad, iphone, iPhone battery rules to go by, kid-friendly, McDonald's kiosk ordering, podcast, Spotify student discount, Steve and his new years resolution, technology, Toad the Wet Sprocket on August 20, 2018 by kidfriday. apple, chromebooks, ipads, facebook privacy, google buys tenor, gif, android, samsung, i7prime, school, school, school…and a whole lot more. This entry was posted in Video and tagged android, Apple, children’s, Chromebooks, facebook privacy, Gif, google buys tenor, i7prime, iPads, kid-friendly, kids, podcast, Samsung, school, tech, Tech in School, technology, YouTube on April 7, 2018 by kidfriday. Appiness, Storenvy, Lush, Rice Crispy Bars, Digital Dressing Room, Apple Watch, Samsung Galaxy S6 and a whole lot more. This entry was posted in Video and tagged appiness, Apple, bars, crispy, Digital, dressing, galaxy, kid-friendly, Lush, rice, room, s6, Samsung, storenvy, tech, technology, teen, Tween, Watch on March 9, 2015 by kidfriday. New Seaworld Kids Apps, including – Penguin’s Playground, Polar Bear Playground, and Baby Animals: Cute and Cuddly Animal Babies. Trivia Crack app, We got new iPhone’s and an iPhone 6 Plus and talk Slate Gray and Gold colors. You’ll learn about how difficult it was to get the phones. Had to go to Verizon Store, Target, and Best Buy to get it all done. Extra Charges include: Plan Access Fee, Line Access Fee, and Activation Fees. New iPhone 6 cases, iPhone Mini rumors. A $6,000 Smartphone, Viewer E-Mail and Zoe goes to the Hospital, and the most expensive car license plate ever. Cyber Monday results, and more. Don’t forget all the random stuff, too. This entry was posted in Video and tagged Baby Animals: Cute and Cuddly Animal Babies, Best Buy, iphone 6, iPhone 6 PLUS, kid-friendly, kids, Penguin’s Playground, Polar Bear Playground, seaword kids, Target, Trivia Crack, Tween, Verizon on December 23, 2014 by kidfriday. SeaWorld Kids Apps, iPhone 6, iOS 8, Wipreout App, Chromebooks, Wipreout App, Plastc Credit Card, Fart Apps, New iPad and Macbook Announcements, Middle School, Door Knobs…and a whole lot more. This entry was posted in Video and tagged Chromebooks, Door Knobs, Fart Apps, iOS 8, iphone 6, kid-friendly, kids, Middle School, New iPad and Macbook Announcements, Plastc Credit Card, recommendations, SeaWorld Kids Apps, wipeout app, Wipreout App on October 12, 2014 by kidfriday. iOS 7.1, Sneak Peak at iOS 8, iPhone 5C price drop outside the U.S., Twitter, ToneFone, Sony Smartwatch 2, Motorolla Moto 360 Watch, NailSnaps, Starbucks App, Kohler Shower Speaker, and a whole lot more. GET YOUR EMAIL READ ON KID FRIDAY! This entry was posted in Video and tagged iOS 7.1, iPhone 5C price drop outside the U.S., kid-friendly, kids, Kohler Shower Speaker, Motorolla Moto 360 Watch, NailSnaps, Sneak Peak at iOS 8, Sony Smartwatch 2, Starbucks app, ToneFone, Twitter on March 21, 2014 by kidfriday. Black Friday recovery, Mall of America, Funny Movie Maker app, iTube app, Amazon Drone, Spotify, iTunes, Annoying Orange, plus a whole lot more. This entry was posted in Video and tagged Amazon Drone, android, Annoying Orangeapp, App Store, Apple, best, black friday, Child, Demo, Funny Movie Maker app, Gadgets, Google, iOs 7, iphone, iPhone 5S, iTube app, iTunes, kid, kid-friendly, Mall of America, messaging, new features, play, podcast, pooch cam, poochcam.poochcam.com, recommendations, Review, Spotify, tech, technology, Websites on December 16, 2013 by kidfriday. Target, Wal-Mart and Best Buy Black Friday ads are discussed along with some random stuff. This entry was posted in Video and tagged Best Buy, black friday, kid-friendly, recommendations, reviews, Target, Walmart on November 26, 2013 by kidfriday. Sony Playstation 4, Keexy App, Snapchat, Coin Credit Card, Target iPad Promotion and Black Friday Deal, and a whole lot more. This entry was posted in Video and tagged android, app, App Store, Apple, best, Child, Demo, Gadgets, Google, iOs 7, iphone, iPhone 5S, iTunes, kid, kid-friendly, messaging, new features, play, podcast, pooch cam, poochcam.poochcam.com, recommendations, Review, tech, technology, Websites on November 19, 2013 by kidfriday. You’re a Kid In A Digital World ℠, so why don’t you learn something. This entry was posted in Video and tagged android, Apple, Apps, best, computer, Cup holder, Flipcase, froth, GameStop Black Friday, HTC One Max, iPad, iphone, iPhone 5C, KFC, KFC Go Cup, kid-friendly, kids, mouse, New, Playstation, poochcam, recommendation, recommended, Review, Smartphone, Sony, Stresscheck, The Go, Watch, Websites, Xbox on October 19, 2013 by storycubb. Apps, Websites, Fun! 174 – Enough of the Starbucks! Vote for Kid Friday at PodcastAwards.com in the “Education” and “People’s Choice” categories. We need YOUR vote. This entry was posted in Video and tagged android, app, App Store, Apple, best, Child, Demo, Flu shots, friendly, gadget, Google, iPad, iPad 5, iTunes, kid, kid-friendly, Moscow, Nifti, play, podcast, poochcam, PoochCam.com, recommendation, Review, Starbucks, Starbucks app, tech, technology, Wal-Mart, Walmart, webcast, Webkinz, Websites, winston, Zoe on October 11, 2013 by storycubb. This entry was posted in Video and tagged android, app, App Store, Apple, best, Child, Demo, Flu shots, friendly, gadget, Google, iPad, iPad 5, iTunes, kid, kid-friendly, Moscow, Nifti, play, podcast, poochcam, PoochCam.com, recommendation, Review, Starbucks, Starbucks app, tech, technology, Wal-Mart, Walmart, webcast, Webkinz, Websites, winston, Zoe on October 11, 2013 by kidfriday. Click the pooch to play this show! This entry was posted in Video and tagged 5c, 5s, Apple, Apps, best, Cook, Gadgets, iphone, kid-friendly, kidfriendly, kids, podcast, poochcam, recommended, storycub, tech, technology, Websites, YouTube on September 13, 2013 by storycubb. Samsung Galaxy Gear Watch, Tech in School, New iPhone, IOS 7, The Space Needle, Stratosphere Roller Coaster,Las Vegas, Siri, Sky Jump, Vine, Apple, Hard Reset, listener email and a whole lot more. This entry was posted in Video and tagged Apple, Apps, Hard Reset, ios, iOs 7, iphone, kid-friendly, kids, Las Vegas, New iPhone, recommendations, reviews, Samsung smartwatch, Siri, Sky Jump, Smartphones, Smartwatches, Space Needle, Stratosphere Roller Coaster, tablets, Tech in School, technology for kids, viewer mail, vine, Websites on September 6, 2013 by storycubb. Squaready app, Tugg.com, One direction movie, Smartwatches, Sony smart watch 2, Samsung smart watch, Hot smart watch , YouTube , iPhone 5S, PoochCam, and a whole lots more. Kid Friday™ is hosted by 15 year-old Hannah, 12 year-old Zoe, Dave, and Winston the pooch. Get YOUR email read on Kid Friday. Subscribe to Kid Friday and never miss a show! This entry was posted in Video and tagged 3gs, android, app, Apple, Apple Store, Apps, best, broadcast, Child, children, Digital, download, facebook, friendly, gadget, Games, Hot smart watch, IMac, iPad, iPad 3, iPad 4, iPad apps, iphone, iPhone 3gs, iPhone 5S, iPhone apps, iphone5, iPod, iPod Touch, iTunes, kid, kid friday, kid-friendly, kidfriday, kids, Microsoft, Nintendo, One direction movie, online, Playstation, podcast, poochcam, PS3, radio, recommendation, Review, Samsung, Samsung smart watch, Smart Personal Objects Technology, Smartphone, Smartwatch, Smartwatches, social media, Sony, Sony smart watch 2, Squaready app, store, tech, technology, touch, Tugg.com, Twitter, webcast, Website, Wii, wii u, Xbox, YouTube on August 24, 2013 by storycubb. Kid Friday 166 – Tap Tap Dad! Beso App, Split Pic App, Secret Box App, Tunein Radio, Spotify, Map My Ride App, How Google got it’s name, PoochCam, and a whole lot more including email from viewers just like YOU. This entry was posted in Video and tagged app, App Store, Apps, Beso, best, children, How Google got it's name, iPhone 5, kid, kid-friendly, kids, Map My Ride, Mobile, podcast, poochcam, recommendations, reviews, Secret Box, Split Pic, Spotify, tap tap, Tunein Radio, Video, viewer email, Websites, YouTube on August 17, 2013 by storycubb. Kid Friday 165 – Don’t Be A Hater! This entry was posted in Video and tagged Apple, children, Dog's eye colors, Friday, iPad, Kid Friday YouTube Channel, kid-friendly, MixBit, Moto X phone, poochcam, Republicbike.com, Tirerack.com, Twitter, Video clip, YouTube on August 12, 2013 by storycubb. This entry was posted in Video and tagged Apple, children, Dog's eye colors, Friday, iPad, Kid Friday YouTube Channel, kid-friendly, MixBit, Moto X phone, poochcam, Republicbike.com, Tirerack.com, Twitter, Video clip, YouTube on August 12, 2013 by kidfriday. Google Glasses ban in U.K., Apple iPhone 5C, Netflix Profile Feature, Camera Apps, $6,000 Virtual Jewelry Set, New PoochCam Logo, Bib + Tuck, Action Movie FX, and a whole lot more. Some of the Best App recommendations for kids. This entry was posted in News and tagged Action Movie FX, App Store, Apple, Bib + Tuck, Camera Apps, Google Glasses, iPad, iPhone 5C, kid-friendly, Netflix Profile, poochcam, Video, YouTube on August 2, 2013 by kidfriday. We saw One Direction, How to get rid of annoying ads in apps, Drum Master app, Google Chromecast Dongle, Bib & Tuck, PoochCam, Clothes and handbag hauls, plus a whole lot more. This entry was posted in Video and tagged 1d, ads, and, android, app, Apple, Apps, bib, cam, chromecast, clothes, Dave, direction, disney, drum, Google, hauls, how, iPad, iphone, kid, kid-friendly, kidfriendly, master, nick, on, one, pooch, poochcam, recommendations, stop, storycub, Swerdlick, to, tuck, Websites on July 27, 2013 by kidfriday. This entry was posted in Video and tagged android, Apple, AppStore, children, Friday, Google, iPad, kid, kid-friendly, kidfriday, kids, podcast, tablet, Video, YouTube on July 16, 2013 by kidfriday. This entry was posted in Video and tagged android, Apple, AppStore, children, Friday, Google, iPad, kid, kid-friendly, kidfriday, kids, podcast, tablet, Video, YouTube on July 16, 2013 by storycubb. We discuss how products are licensed and why your favorite bands and characters make lots of $$ selling merchandise. Apple’s latest news including iOS 7. App talk includes: Knock On Wood, ClapBox, and SpinVid. Plus, Fab.com, Instagram, Vine, the World Famous PoochCam, listener email from around the world, Angry Birds Soda, and a whole lot more. This entry was posted in News and tagged 1d, Apple, iOs 7, iPad, iPod Touch, kid-friendly, Knock On Wood App, music, one direction, poochcam, SpinVid on June 21, 2013 by storycubb. Get the #1 app for FREE, a player uses his iPhone to protest a call during a tennis match, next gen, “Mood Bracelet”, some history of Adidas and Puma, MyRadar app, PoochCam, listener email, Ebay deal on iPhone 5 charging cords, we announce a giveaway, and so much more. This entry was posted in Video and tagged adidas, Apps, Dave Swerdlick, free app, Friday, kid, kid-friendly, kids, mood bracelet, podcast, poochcam, PoochCam.com, Websites on May 28, 2013 by storycubb. On this show, #155: Vinci Tablet, Dave’s recent tip, Google Earth, Fake Beats headphones, , iPhone 5S, iPhone 6, iPhone 7, CamWow, SeeThis App, the Famous Pooch Cam, and a whole lot more. Kid Friday Is Brought to you by: StoryCub – FREE Video Stories For Kids. Get the FREE StoryCub APP! And do us a favor….TELL A FRIEND ABOUT KID FRIDAY. This entry was posted in Video and tagged android, app, Apple, best, Child, children, friendly, gadget, iphone, kid, kid friday, kid-friendly, kidfriday, kids, news, podcast, recommendation, tech, technology, website child on May 5, 2013 by kidfriday. This entry was posted in Video and tagged android, app, Apple, best, Child, children, friendly, gadget, iphone, kid, kid friday, kid-friendly, kidfriday, kids, news, podcast, recommendation, tech, technology, website child on May 5, 2013 by storycubb. The NUMBER ONE TECHNOLOGY show for kids! PoochCam, Listener email, Social media addiction, How much YouTube pay for views, Increase in TSV while in the bathroom, The best way to make money on an App, Shout ’em App Maker, Latest iPhone Rumors, and a whole lot more. This entry was posted in Video and tagged 3gs, android, app, App Store, Apple, Apple Store, Apps, best, broadcast, Child, children, Digital, download, facebook, Facebook features, Friday, friendly, gadget, Games, IMac, iPad, iPad 3, iPad 4, iPad apps, iphone, iPhone 3gs, iPhone apps, iphone5, iPod, iPod Touch, iTune, iTunes, kid, kid friday, kid-friendly, kidfriday, kids, Microsoft, Nintendo, online, Playstation, podcast, PS3, radio, recommendation, Review, social media, store, tech, technology, touch, Twitter, webcast, Website, Wii, wii u, Xbox, YouTube on April 18, 2013 by storycubb. This entry was posted in Video and tagged 3gs, android, app, App Store, Apple, Apple Store, Apps, best, broadcast, Child, children, Digital, download, facebook, Facebook features, Friday, friendly, gadget, Games, IMac, iPad, iPad 3, iPad 4, iPad apps, iphone, iPhone 3gs, iPhone apps, iphone5, iPod, iPod Touch, iTune, iTunes, kid, kid friday, kid-friendly, kidfriday, kids, Microsoft, Nintendo, online, Playstation, podcast, PS3, radio, recommendation, Review, social media, store, tech, technology, touch, Twitter, webcast, Website, Wii, wii u, Xbox, YouTube on April 18, 2013 by kidfriday. This entry was posted in News and tagged android, Apple, Apps, best, children, Friday, iPad, iphone, kid, kid-friendly, kids, Nintendo, podcast, poochcam, recommendations, Websites, winston, YouTube on March 22, 2013 by kidfriday. Kid Friday Show 148 – The Number One Tech Show For Kids! We’re testing out the new studio and you’re coming along for the ride. Listener email and a whole lot more. This entry was posted in Video and tagged Apple, Free, Google, iphone, iPod, kid-friendly, kids, Mobile, music, YouTube on February 3, 2013 by kidfriday. This entry was posted in Video and tagged Apple, Free, Google, iphone, iPod, kid-friendly, kids, Mobile, music, YouTube on February 3, 2013 by storycubb. This entry was posted in Video and tagged android, Apps, iPad, iphone, iPod, kid friday, kid-friendly, kidfriday, kids, recommendations, reviews on January 26, 2013 by storycubb. This entry was posted in Video and tagged Apple, AppStore, Gadgets, iPad, iphone, iPod Touch, kid-friendly, Nintendo, tech, YouTube on January 7, 2013 by storycubb. This entry was posted in Video and tagged Apple, AppStore, Gadgets, iPad, iphone, iPod Touch, kid-friendly, Nintendo, tech, YouTube on January 7, 2013 by kidfriday. Watch: Kid Friday Featured On CBS Television! This entry was posted in News and tagged Dave, feature, featured, Friday, hannah, kid, kid-friendly, kids, podcast, technology, Television, tv, winston, Zoe on June 7, 2012 by kidfriday. If you live in the Twin Cities and surrounding areas of Minnesota, tune in to CBS/WCCO Channel 4 tonight at 11:05 for “Life To The Max”. The Kid Friday Podcast will be featured as part of the program. They visited the studio, taped some of the podcast, and even interviewed us! For all of the rest of you in the United States and around the world, we will be able to link to the video and share it with you at some point, hopefully soon. We’ll keep you posted. This entry was posted in News and tagged Arts and Entertainment, collins, Friday, kid, kid-friendly, kids, life, Live, Liz, max, mike, Minneapolis, Minneapolis – Saint Paul, minnesota, podcast, story, technology, the, to, Twin Cities, Video, WCCO, WCCO-TV on June 2, 2012 by kidfriday. A man stranded for three days on a snowy mountain road in Montana in the US attributed his survival to God, a rationed supply of beef jerky and the video game Angry Birds that he played on his mobile to keep his wits. David Weatherly said that his 4WD vehicle became stuck in the snow on Sunday afternoon on a back road in the Lewis and Clark National Forest, where he had gone to take photographs of the scenery and wildlife. via Angry Birds game kept stranded man sane. This entry was posted in News and tagged angry, app, birds, kid-friendly, man, montana, saves, stranded on March 18, 2012 by kidfriday. This entry was posted in News and tagged angry, app, birds, kid-friendly, man, montana, saves, stranded on March 18, 2012 by kidf. HTML5 Makes For Faster Game Play, But Where? HTML5 is the new lingua franca of the internet, but games that are written in the format tend to run too slow. The platforms that run HTML5 faster are likely to have an advantage in running a whole new wave of applications and games. So Spaceport.io, the cross-platform mobile game development tool maker, ran a study to find out whether iOS (iPhone, iPad and iPod Touch) is faster than Android at running HTML5 games. Hands-down, iOS won. If HTML5 games run sufficiently fast, then a lot of benefits accrue. For instance, a game could be written in HTML5 for one platform and then work perfectly fine in another. iOS performed three times better at running HTML5 games than Android, according to the new study. Spaceport.io created a benchmark dubbed PerfMarks to test performance at running HTML5 code. The benchmark tested a device’s ability to animate image movement — a key measure of game performance. The report measures the number of moving images on a screen at 30 frames per second (FPS), a frame rate which provides a near-native user experience. Repeated tests show that iOS performed far better at running animations than Android. The newest iPhone 4S scored 252 PerfMarks and the iPad 2 score 327. That compares to just 53 for the iPhone 3GS from 2009. By comparison, the Samsung Galaxy Nexus smartphone scored 147 and the Kindle Fire scored only 25.
via Apple’s iOS runs HTML5 games three times faster than Android | VentureBeat. This entry was posted in News and tagged Apple, Games, Gaming, html5, ios, kid-friendly, platform on March 5, 2012 by kidfriday. What Do You Get When You Combine A Kinect With A Shopping Cart? via Whole Foods prototype puts Kinect on shopping cart, follows people around store – GeekWire. This entry was posted in News and tagged Cart, Foods, kid-friendly, Kinect, Microsoft, Shopping, Whole on February 28, 2012 by kidfriday. This entry was posted in News and tagged Cart, Foods, kid-friendly, Kinect, Microsoft, Shopping, Whole on February 28, 2012 by kidf. O.K. If you’re a listener of the KidFriday Podcast, you know we usually deliver 1 kickin’ new show each week. We wanted show 100 to be special in some sort of way, but it might not go down like that. #100 is too easy. SO, stay tuned for show 100 while we take more time to see how show 101 could actually be the big show. At least that’s our excuse for now. Do you realize that we could have just done the podcast in the amount of time it took to write this? Remember. Show #101. This entry was posted in News and tagged Apps, best, Friday, iTunes, kid, kid-friendly, kidfriday, podcast, recommendations, Website on January 30, 2012 by kidfriday. This entry was posted in News and tagged App Store, broadcast, Friday, iTunes, kid, kid-friendly, kidfriday, Live, podcast, UStream, webcast on December 30, 2011 by kidfriday. This is some really cool stuff. Add special effects and amaze your friends. We did. ACTION MOVIE FX lets you add Hollywood FX using your iPhone’s video camera! YOU direct the ACTION! And FREE FOR A LIMITED TIME – 2 Movie FX packs!! Select a Scene like “MISSILE ATTACK,” film a target and ACTION MOVIE FX adds an INCOMING MISSILE AND ITS EXPLOSION right into your movie! • 2 FREE Big-Budget FX! MISSILE ATTACK & CAR SMASH! This entry was posted in News and tagged Action, app, Effects, Free, FX, iphone, iPod Touch, kid-friendly, Movie, Special on December 29, 2011 by kidfriday. iAllowance App Helps Kids Earn Some Cash! Parents looking for a viable system for tracking their children’s allowance, rewards or chores might want to check out iAllowance by Jump Gap Software. Available for iPhone and iPad, iAllowance has several tracking and editing features for managing data along with the ability to sync across multiple devices using Dropbox. 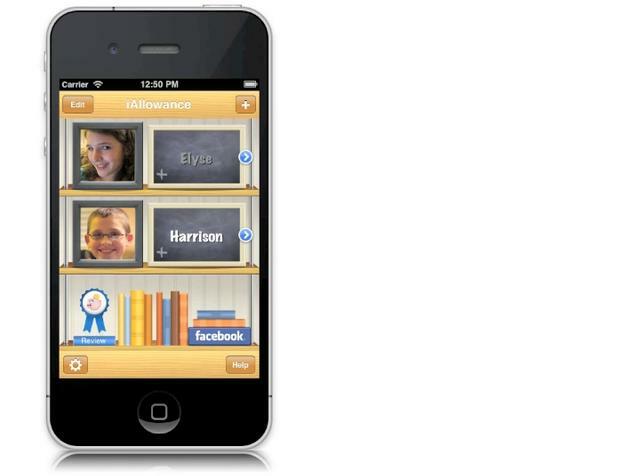 iAllowance is not only a comprehensive app, but a relatively nice-looking one to boot. Any parent interested in a tech-savvy means of managing their kids’ allowance, chore chart and behavior reward system in an efficient way should definitely consider taking iAllowance for a test run. via iAllowance Helps Families Track Chores, Rewards and Allowances. This entry was posted in News and tagged app, Apple, AppStore, children, chores, iallowance, kid-friendly, kids on December 22, 2011 by kidfriday. Just released! SimpleS is a simple & fun memory game for all ages. All you have to do is follow the ever growing sequence of four colors. Game features 6 different sound banks & 3 different speeds to suit all skill levels. Yes, it’s simple…or is it? Simon lives. This entry was posted in News and tagged app, AppStore, iPad, iphone, iPod, kid-friendly, New, SimpleS on December 18, 2011 by kidf. This entry was posted in News and tagged 4, Christmas, Connect, Connect 4, Game, gift, iPad, kid-friendly, kids, Spongebob, Squarepants on December 15, 2011 by kidfriday. This entry was posted in News and tagged 4, Christmas, Connect, Connect 4, Game, gift, iPad, kid-friendly, kids, Spongebob, Squarepants on December 15, 2011 by kidf. This entry was posted in News and tagged App Store, Apps, Christmas, Countdown, Free, iPad, iphone, iPod, iPod Touch, kid-friendly on December 13, 2011 by kidf. Rabbit and Chick bring you new fun game! A big war is going to spread out for Carrots! Rabbit fright for “Food”, Chick fright for “Mom”! An easy navigating game to stacking from ground to sky, then to outer space universe. It’s a fun exciting game to check out clicking hits against bubbles rising! Watch out, you will face many barriers along the way! Check out Happy Bubble for yourself! This entry was posted in News and tagged app, Apple, Apps, Bubble, Happy, iPod, iPod Touch, kid-friendly, touch on December 6, 2011 by kidfriday. App Alert: Forget Waldo…”Look And Find Santa” Rules! Look through piles of stuff and try to find items. Yes, it’s been done before, but this festive take is a sure winner. Find 15 items each in 6 different scenes. Is it Fun? Let’s just put it this way….. You won’t be able to stop playing “Look and Find Santa“. O.K., technically you could stop the game, but you won’t want to. We had the urge to find every single item in every single scene, and were determined not to stop until we did. Yes, it’s that much fun. Great seasonal music, fun sound effects, and a whole lot of searching makes this holiday filled app one not to miss. This entry was posted in News and tagged app, Find, iPad, iPod, iPod Touch, kid-friendly, Look, Santa, Search, Waldo on November 30, 2011 by kidf. This entry was posted in News and tagged app, Find, iPad, iPod, iPod Touch, kid-friendly, Look, Santa, Search, Waldo on November 30, 2011 by kidfriday. Nintendo Sales Up. Go Mario!! Super Mario 3D Land and The Legend of Zelda: Skyward Sword helped Nintendo to a successful kickoff of the holiday sales season. Meanwhile, the Legend of Zelda: Skyward Sword, released for the Nintendo Wii on Sunday, Nov. 20, has sold 535,000 copies since its U.S. launch, making it the fastest-selling Zelda game ever, he says. via Nintendo sees skyward sales on Black Friday. This entry was posted in News and tagged Game, kid-friendly, mario, Nintendo, sales on November 29, 2011 by kidf. When we look at apps to recommend, we look for quality and fun. It also doesn’t hurt if you learn a little. “Ready to Sing with Andy Z: Scarecrow for iPad” has it all. Geared towards the younger crowd, this app for kids 4+ includes beautiful illustrations, fantastic music from kids songster Andy Z, and can read the story to you. You can also read the story yourself. Plus the added “sound effects” are icing on the cake. Price: $1.99. Highly recommended. This entry was posted in News and tagged andy z, app, Apps, AppStore, iPad, kid-friendly, scarecrow, story on November 28, 2011 by kidf. This entry was posted in News and tagged andy z, app, Apps, AppStore, iPad, kid-friendly, scarecrow, story on November 28, 2011 by kidfriday. Gaming is an area where Apple’s iOS dominates. Though other platforms are beginning to catch up, many of the top games companies are still focussing on the iPhone, iPod touch and iPad. via The 10 best game apps – Telegraph. This entry was posted in News and tagged app, Apple, Apps, iPad, iphone, iPod, iPod Touch, kid-friendly, touch on November 27, 2011 by kidf. This entry was posted in News and tagged app, Apple, Apps, iPad, iphone, iPod, iPod Touch, kid-friendly, touch on November 27, 2011 by kidfriday. Lots of great apps came out in 2011. Did your favorite make it on the list? See for yourself! Time magazine’s list is out for the iPhone, although a lot are iPod Touch compatible. This entry was posted in News and tagged 2011, angry birds, app, Apple, Apps, best, iphone, iPod, iPod Touch, kid-friendly, kids, time magazine, top on November 25, 2011 by kidfriday. This entry was posted in News and tagged 2011, angry birds, app, Apple, Apps, best, iphone, iPod, iPod Touch, kid-friendly, kids, time magazine, top on November 25, 2011 by kidf. The KidFriday Podcast was featured on ABC – KSTP TV. Take a behind the scenes look at KidFriday and the KidFriday.com Podcast. Hope you enjoy! This entry was posted in News and tagged ABC TV, Apps, Friday, kid, kid friday, kid-friendly, kids, KSTP, podcast, Swerdlick on November 25, 2011 by kidfriday. 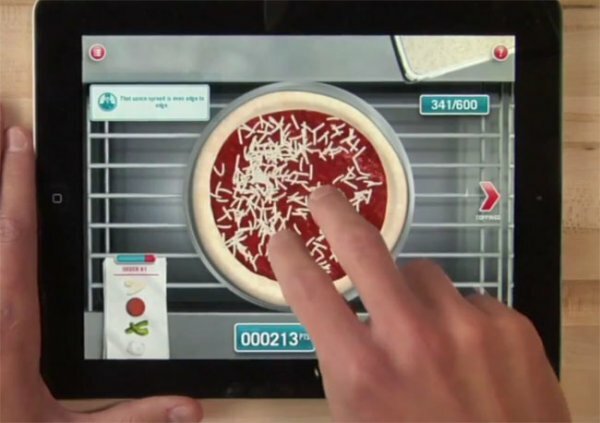 Domino’s Pizza iPad App Let’s You Build A Pizza, And Order It! This is an app where you have a great time building the pizza of your dreams. Don’t like it? Just start a new one instead! But the bonus fun is where you can actually order the real pizza you created from Domino’s right from your Apple iPad or iPad2 (you must be connected to wifi or 3g). Hungry? Go get the FREE app and start kneading the dough, spreading the sauce, sprinkling the cheese….. This entry was posted in News and tagged app, Apple, domino's, Free, iPad, iPad2, kid-friendly, pizza on November 24, 2011 by kidf. Netflix today announced that its “Just for Kids” section is now available to Netflix members in the U.S. on the Nintendo Wii™ game console. This entry was posted in News and tagged Console Platforms, Games, kid-friendly, kids, netflix, Nintendo, Nintendo Wii, tv, Video Games, Wii on November 22, 2011 by kidf. Some elementary school kids play video games or ride bikes with their friends. Sixth-grader Thomas Suarez builds iOS apps — and has started a club at his school to encourage others to do the same. Doing his best Steve Jobs at a recent TEDx event in Manhattan Beach, he recounted his experience building and selling Earth Fortune and the Bustin Jieber whac-a-mole game, but pointed out that there wasn’t a clear path for other young would-be developers to do the same. “A lot of kids these days like to play games,” Suarez said, “but now they want to make them.” Hence his club, which any student can join to learn the basics of programming and app creation. Suarez’s school also participates in one of Apple’s iPad pilot programs, which put the tablet into the hands of students and teachers for educational purposes. With feedback from teachers, Suarez’s club hopes to build apps to accommodate specific classroom needs. As for Suarez himself, he’s planning on building more games — and would like to tackle Android development next. via Sixth-grade iOS developer starts school app club, wows in TEDx video | The Verge. This entry was posted in News and tagged app, Apple, Apps, developer, kid-friendly, music, tedx, touch on November 20, 2011 by kidf. Join Kermit the Frog, Miss Piggy, Fozzie Bear, Animal and the rest of the gang for the most sensational, inspirational, and celebrational TAP TAP music game ever! TAP TAP MUPPETS features six full tracks — three of the most memorable songs from the tribute compilation, The Green Album, and three songs from the soundtrack to the movie event of the holidays, The Muppets! via App Shopper: Tap Tap Muppets (Games). This entry was posted in News and tagged android, app, Apple, featured, iPad, iphone, iPod Touch, kermit, kid-friendly, muppets on November 18, 2011 by kidfriday. Nielsen’s latest report on consumers took a look at what kids were asking for as holiday gifts this year, and once again Apple’s iPad was king of the hill. In fact, Apple took the top three slots of most desired products, with the iPod touch and iPhone claiming numbers 2 and 3. Though the iPad was most desired last year as well, demand for Apple’s tablet shot up to 44 percent of kids surveyed from the 31 percent who wanted one this time last year. The iPod touch and iPhone were on 30 percent and 27 percent of kids’ lists this year, while “non-iPad” tablets were on 25 percent of Santa letters. Twenty-one percent claimed to want a smartphone other than the iPhone, but no single Android model had any mindshare among kids under the age of 13. Of those older than 13, 24 percent had the iPad at the top of their lists, while 17 percent wanted a non-Apple tablet. A word of advice to parents doing holiday shopping this season? Skip over that bargain-bin, no-name Android tablet, even if that means kids won’t get a tablet at all this year. A kid that is sad for a week is better than one that hates you for a year for buying the wrong tablet. 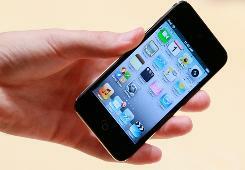 via Apple iPad, iPod touch, iPhone top kids’ holiday wishlists this year. This entry was posted in News and tagged app, Apple, holiday, ios, iPad, iphone, iPod, iPod Touch, kid-friendly, kids, music, sale, tablet, tablets on November 18, 2011 by kidf. Wondering which games to buy for your iPad? Well, we’ve taken our best shot at putting together a list of top titles that we feel meet the criteria for a good iPad game. Uniqueness (though many iPad games play well as upconverted, higher-resolution versions of their iPhone predecessors, we respect new, iPad-exclusive games). via 30 best iPad games | iPad Atlas – CNET Reviews. This entry was posted in News and tagged app, Apple, Apps, children, iPad, iphone, kid-friendly, kids, touch on November 14, 2011 by kidf. Kid Friday – Words With Friends. Funnnnn. Surely you’ve heard of Words With Friends by now, haven’t you? I figure, if my mom plays it, that’s a pretty good benchmark for the entire world knowing about a video game. Well, if you haven’t, here’s the gist- Words With Friends is basically the game of Scrabble with a social cross-platform twist. Utilizing the magic of asynchronous multiplayer and push alerts, you can play games of Scrabble with friends across the world. Cooler yet, it doesn’t matter if your friends have Android phones or are even playing the Facebook version of the game… It just works. via Touch Arcade: iPhone Game Reviews and News. This entry was posted in News and tagged app, Apple, Apps, children, iPad, iphone, iPod, kid-friendly, kids, touch on November 14, 2011 by kidfriday. You know how around Halloween you bought five bags of Fun Size Snickers to give out to trick or treaters, but somehow only three bags made it into the candy bowl and now you’re feeling really bloated and gross and you really need to look good for upcoming holiday parties so you’re eating grilled salmon three times a day and that would be fine, except all you can think about is how you really want to eat a bunch of donuts and cake and candy? Yeah, uh, me neither. However, it’s obvious that the people at Com2uS were in throes of weight loss-related fantasy when creating their latest game, Chocohero [$.99]. This entry was posted in News and tagged android, app, Apple, Apps, children, chocohero, facebook, iPad, iphone, iPod, kid-friendly, kids, touch on November 14, 2011 by kidfriday.